Use the token to integrate into vend. Integrating the Hubtel Vend API into your product allows you easy access to facilitate a wide variety of service bill payments and airtime topups for your customers. Every request you send to the Hubtel Vend APIs will need to be authenticated using your ClientID, Client Secret and API Token. In order to integration on Vend, you will need to generate API Tokens on your Live Wallet. Click here to learn how to generate a ClientID and Client Secret. 2. 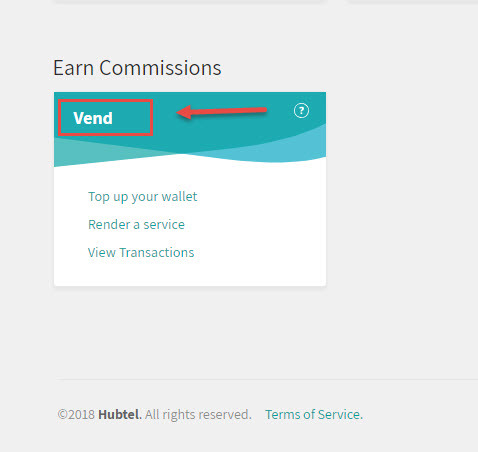 Scroll down and click on the Vend option. 3. Click on the Settings tab above and select the API Token option. 5. Choose the desired Wallet and click Save Changes. 6. Store the generated test API token and use it for your vend integration.